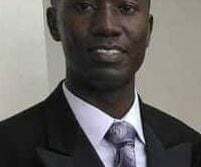 An ex-policeman died during the wee hours of yesterday morning after he was shot by police, minutes after he and an accomplice had robbed a man. Dead is Ryan Vaux, 36, of Lot 80 Norton Street, Lodge, Georgetown. The incident occurred around 1.10 am yesterday. According to reports, Vaux was shot in his back after he attempted to open fire at the police in a bid to escape. 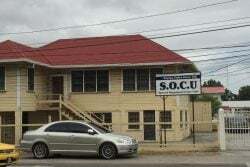 He died on arrival at the Georgetown Public Hospital. Vaux’s accomplice was taken into custody and a pellet handgun was recovered in motor car PSS 6835 which he was driving. The car had crashed during their escape bid in the vicinity of Vryheid’s Lust Access Road, East Coast Demerara (ECD). The man who Vaux and his accomplice allegedly robbed has been identified by the police as Deryck Persaud, 46, of Cummings Lodge, ECD. He was unharmed. According to a police press release, ranks of a mobile patrol along Broad Street, Montrose, ECD saw Persaud running behind the motor car and shouting that he had been robbed of a sum of money by the men in the vehicle. As a result, the release said, the police intercepted the motor vehicle and $21,000 was found in the accomplice’s possession. The suspect and Persaud were placed in the police vehicle and PSS 6835 was escorted to the Sparendaam Police Station, the police said. 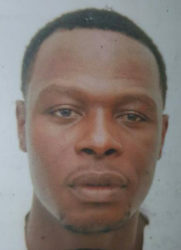 Persaud informed the police that he had been robbed by the duo, who were armed with a handgun and a knife. 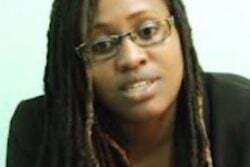 The release further stated, on arrival at the police station, ranks approached Vaux, who brandished a firearm and drove off in an attempt to escape. A rank then discharged a round in his direction which struck him in the back. It was subsequent to this that the vehicle crashed. 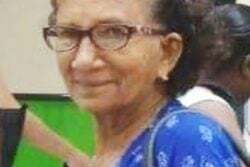 When Stabroek News visited the home of the ex-policeman yesterday, his relatives claimed that he did not live there and referred all questions to his wife. However, efforts to contact her proved futile.